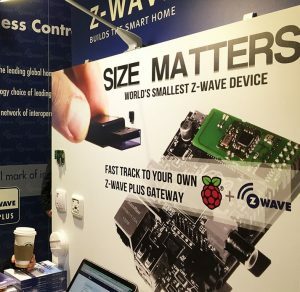 The Raspberry Pi minicomputer is easily extended with Z-Wave home control. A new case study examines how BDigital implemented Raspberry Pi and Z-Wave home automation devices to develop the production version of its eKauri e-health and smart home platform, which uses the 100% open source WSO2 Carbon middeware platform. Senior citizens—many in fragile health and requiring assistance—often have limited resources for managing their health, participating in society, and ensuring their security. BDigital provides smart solutions for therapy management, disease prevention and healthy habit promotion through its three lines of specialization: integrated continuous care, personalized computational medicine, and active independent living (AIL). The full case study can be downloaded at http://wso2.com/casestudies/bdigital-delivers-e-health-and-smart-home-platform-using-the-wso2-carbon-platform. How WSO2 API Manager efficiently handles large e-health RESTful APIs managed by eKauri. The use of WSO2 ESB for protocol mediation, as well as helping to ensure reliability and recovery through message persistence. Best practices applied between WSO2 API Manager and ESB communication. How WSO2 Identity Manager works with WSO2 ESB to manage authorization policies based on each user’s access level and attributes. The role of WSO2 Application Manager in managing its large, Web-scale applications. Barcelona Digital Technology Centre (BDigital) is the leading technology center for information and communication technologies in Catalonia, Spain. Its mission is to contribute to the growth of the ICT sector and the development of the information society. BDigital’s areas of specialization are security, mobility and health, which are applied in many different sectors such as services, food, agriculture, hospitals, education, and transport. BDigital is a member of the TECNIO network, which encompasses the main expert agents in applied research and technology transfer in Catalonia. Currently, TECNIO is made up of more than 100 technology centers, technology diffusion centers and university research groups that promote the competitiveness and the excellence in both academia and industry. For more information, visit http://www.bdigital.org. WSO2 delivers on the promise of the connected business with the only completely integrated enterprise platform that enables businesses to build, integrate and manage their APIs, applications, and Web services on-premises, in the cloud, and on mobile devices. Leading enterprise customers worldwide rely on WSO2’s award-winning 100% open source platform and its robust governance and DevOps functionality for their mission-critical applications. Today, these businesses represent nearly every sector: health, financial, retail, logistics, manufacturing, travel, technology, telecom and more. Visit http://wso2.com to learn more, or check out the WSO2 community on the WSO2 Blog,Twitter, LinkedIn, and Facebook.